Contact us for a free demo session near you! My name is Nina Nestoroff. 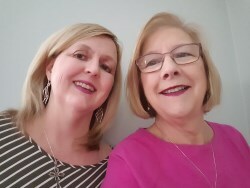 My business partner, Lisa McCormick, and I welcome you here to learn about this amazing globally patented, life-changing technology. We were introduced to the technology in early 2018 and it has made a tremendous difference in our lives. Our passion is to share this technology with as many people as possible. Everyone deserves to have one.